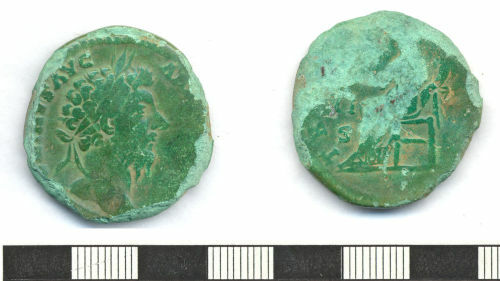 Copper alloy Roman sestertius, probably of Marcus Aurelius. Roman copper alloy Sestertius of Marcus Aurelius? Roman copper alloy sestertius of Marcus Aurelius.